To get get your hands on music written for cello, is not that difficult; lots of composers have written pieces for violoncello. Cello parts for pop music or folk music are much harder to get. However, you can use MusiCAD make arrangements for cello quite easily. Since a cello has a wide playing range you can either use an automatic bass-part as a basis or just transform a part written for violin or flute (or whatever) into a cello part. 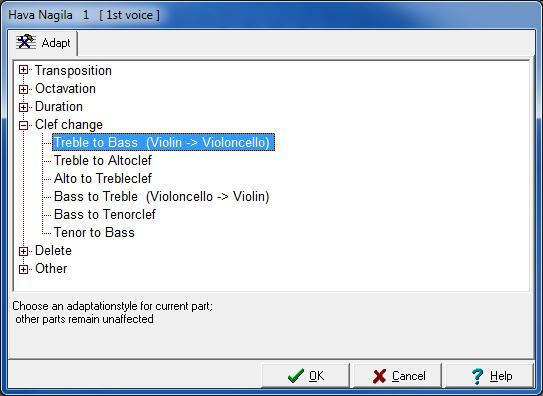 A template script is available to create arpeggio cello voices from chords.